No one will ever agree on a list of Belgian beer styles, and it has been said the beer culture is too anarchic and creative to admit of one. Still, accepted categories do exist. You can find them in various books, including Michael Jackson’s iconic early studies. You can find them online, e.g., Beer Advocate’s useful list. When you look at these materials as well as 19th century sources such as this 1862 National Magazine article and this French-language industrial survey (undated) by Louis Guillaume Figuier, a fuller, consistent pattern emerges. There are the sour beers of the Brussels area, based on lambic; white beers with wheat from Louvain and Hoegaarden; spelt-based beer from Liège, now generally called saison; brown beer from Malines/Mechelen; Trappist beers and the “abbey” group with the brown dubbel as their core; the Louvain peeterman, which was a deep yellow, often honey-infused, dextrinous beer. There are today English pale ale-types, e.g., Palm Ale, which have an early 1900s British inspiration. There are a few porters such as, ironically, Monk’s Stout, also of British inspiration, and the Scotch of ditto inspiration. Also Bush beer (Scaldis in some markets), the Burton-type, extra-strong ale developed in the 1930s. And to be sure the oude bruin (old brown) and red ales of Flanders. I view the strong dark ales of the Trappist and abbey breweries as a sub-set of dubbel: it’s strong brown beer, not heavily hopped. Martin Lodahl, who wrote one of the best short treatments of the Trappist and abbey group, would agree. I exclude beers which seem clearly to have disappeared including those based on maize, potato or rice, and those which use a hop no longer grown. This is not exhaustive but sets out the main categories. 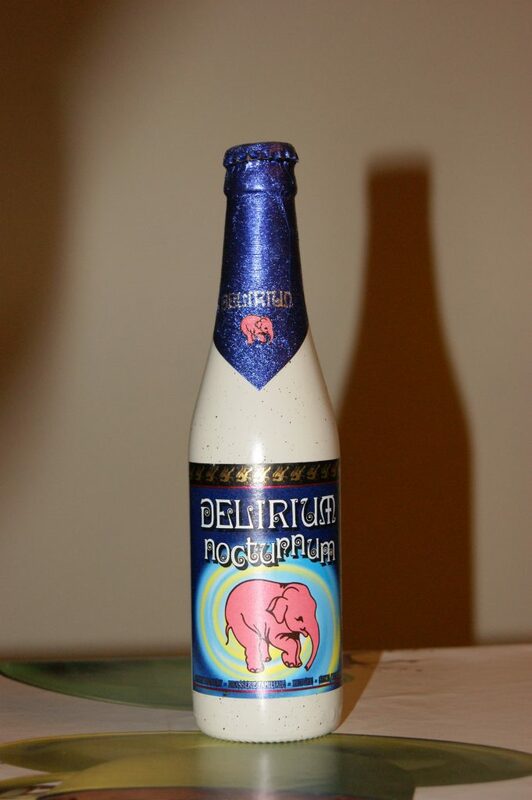 And today also, there are American-hopped beers or others showing U.S. influence, strong ales such as Delerium Tremens which are hard to classify, and all kinds of fruit beers, some of which are traditional. Of the 19th century group, none can clearly be pointed to as predecessor of the Trappist dubbel style. Ostensibly closest is the brown beer of Malines, which in the 1862 magazine article above, see pg. 30, is even called a double brown beer. But look at how Louis Figuier described it in the French account mentioned above. He said it was “cut” one-quarter to one-third with beer that had matured 12-18 months to give an old beer taste to the blend. That is not dubbel. All dubbel I’ve had is clean and non-lactic. Certainly this is so from the Trappists but also for the abbey beers I’ve had: Leffe, Grimbergen, St. Sixtus, St. Feuillen, Brunehaut’s, etc. Ditto for North American emulations. An “abbey” isn’t sour. Or if it is, it isn’t a traditional dubbel. The brown beer of Malines, in Second Empire and Third Republic France, was surely similar to the modern Flanders beers which have a decided sour tang: Liefmans Goudenband, say, also Rodenbach’s family of beers. The flagship Mechelen beer today, Gouden Carolus, is sometimes called a dubbel. Whether it falls in the dubbel category may depend whether you feel you can detect a sour tang in it. Some online taste reports suggest there is one, and many don’t mention it. I haven’t had the beer in some years, so can’t say. My point is, when Westmalle first brewed brown beer 1856 and Chimay commercialized a similar beer in the 1860s, they could not have followed local, secular precedent of any kind. The same thing for Westvleteren’s brown beer first sold 1931. Achel, brewing in modern times from 1999, offers a typical dubbel. Rochefort’s beers have always been in this vein. Only Orval went a different direction in the 1930s with its old-fashioned but English pale ale style, perhaps reflecting the particular influence British brewing had in secular Belgian brewing then. Another point: if dubbel was really a takeoff on a local, long-established style, the beers from the monasteries in the French part should be saison and/or another Walloon type of the 1800s. The monasteries in Flanders should all have sour red or brown beers, or something like peeterman, or a potato beer. They don’t. This is judging by what they have all made since the 1970s, but given their traditional focus I doubt they would change anything important like a lactic character or a colour. They may ensure their yeast is reliable; they may update their equipment, or tinker with abv or a hop; they will not change the fundamental style of a signature product. They might add a new beer though, which appears to be the case for tripel. And it’s not done that often! The phoenix that Belgian monasteries were in the 1800s made their best beer, and the one first sold to the public, in line with an intramural, Benedictine, international tradition. Dieulouard’s Saint-Laurent Abbey, which I discussed in recent posts, was a major part of that heritage. It was one of the last monastic breweries in the two centuries preceding the French Revolution, but a very successful one. I very much doubt any of Dieulouard’s beer, Westmalle’s 1856 brown beer, Chimay’s 7.2% beer of 1877, or Westvleteren’s beer sold from 1931, was sour. Dieulouard’s beer was inspired by English brewing tradition and the English, generally, did not appreciate sour beers – I said generally. Sourness had a place in some porter, for a time, and it was part of the profile of some old ale. It may have prevailed in isolated regions, e.g., Bristol and environs. It wasn’t the “taste” of the nation as a whole. One way we know how Belgium was different is that English and French-language observers often noted that Belgium’s beer in the 1800s was typically sour. Average levels of acidity in English beer may have been higher then than now, but had English beer been as sour as Belgium’s, you wouldn’t read such statements. An example, from 1890, is from this Parliamentary hearing at paragraph 4384. In addition, English and the top grade of monastic ales were always on the strong side, vs. Belgium’s beers typically consumed by the people; the same applies to dubbel and its derivatives. Trappist and abbey dubbels have no counterpart in traditional, secular Flemish or Wallonian brewing. They also do not derive from whole cloth: they have a separate tradition, elements of which I have described or adverted to. 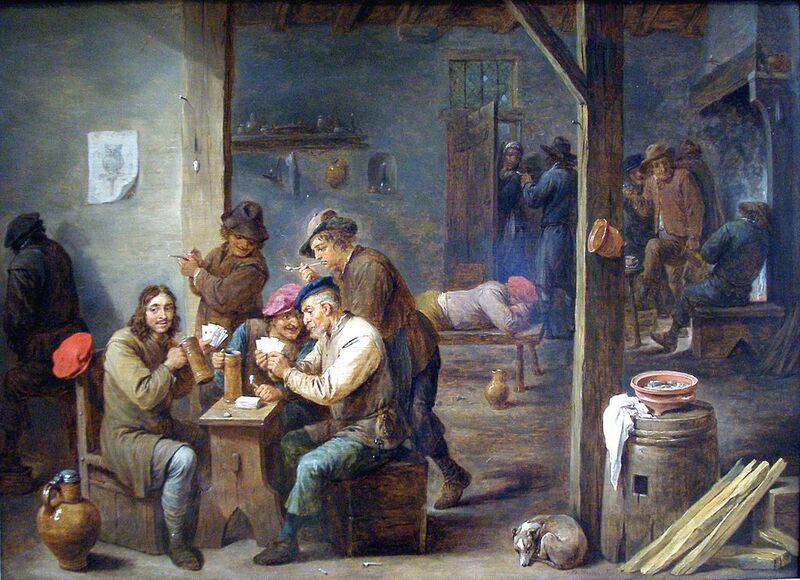 Note re images: the first image above is Tavern Scene, c.1658, by David Teniers, a Flemish artist. It was sourced from Wikipedia, here. The second image, also from Wikipedia and also in the public domain, was sourced here; it shows a beer from Huyghe Brewery in Belgium. Both are believed available for educational and historical use. All feedback welcomed.